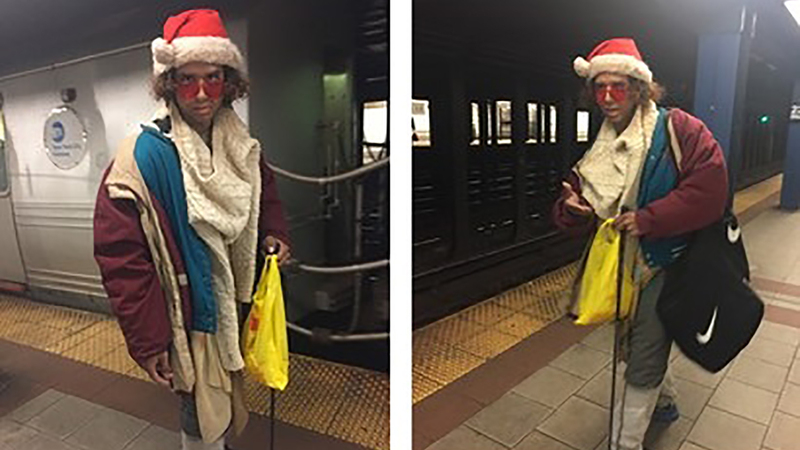 BRIGHTON BEACH, Brooklyn (WABC) -- A homeless man arrested earlier this year on charges of groping two women while dressed as Santa was arrested again, after police say he grabbed several women in less than a half hour on Brighton Beach in Brooklyn Sunday morning. 33 year old David Cruz-Rodriguez allegedly molested one sunbather as she slept on the sand off the Riegelmann Boardwalk at Brighton 2nd Street at about 10:30 a.m.
About 10 minutes later he grabbed a woman's breast and exposed himself, and later grabbed the breasts of three other women, police said. He was arrested by a Parks Enforcement officer and charged with forcible touching and resisting arrest. It was not known if he was wearing his Santa gear.